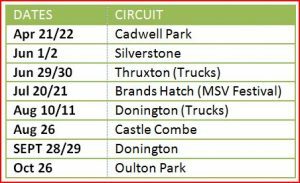 Please see below our race dates. Which are fantastic and cater for the drivers and fans alike. 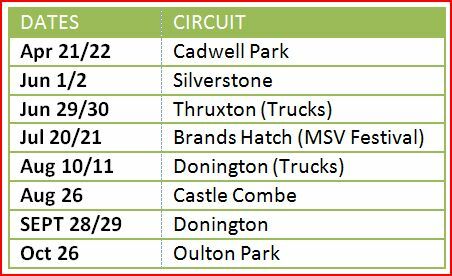 The Dates for the 2018 season are listed below, do make the effort to come along and see the races or visit our Face book page@mighty minis racing to view regular updates, and view live streaming, including interviews at the races. 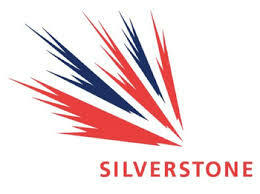 Silverstone Circuit is next to the Northamptonshire villages of Silverstone and Whittlebury. The circuit straddles the Northamptonshire and Buckinghamshire border, with the current main circuit entry on the Buckinghamshire side. The Northamptonshire towns of Towcester (5 miles) and Brackley (7 miles) and Buckinghamshire town of Buckingham (6 miles) are close by, and the nearest large towns are Northampton and Milton Keynes. Silverstone is the current home of the British Grand Prix, which it first hosted in 1948. The 1950 British Grand Prix at Silverstone was the first race in the newly createdWorld Championship of Drivers.The race rotated between Silverstone, Aintree and Brands Hatch from 1955 to 1986, but relocated permanently to Silverstone in 1987. The circuit also hosts the British round of the MotoGP series. 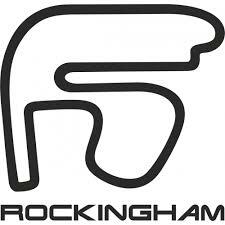 On 30 September 2004 British Racing Drivers’ Club president Jackie Stewart announced that the British Grand Prix would not be included on the 2005 provisional race calendar and, if it were, would probably not occur at Silverstone. However, on 9 December an agreement was reached with Formula One rights holder Bernie Ecclestone ensuring that the track would host the British Grand Prix until 2009 after which Donington Park would become the new host. 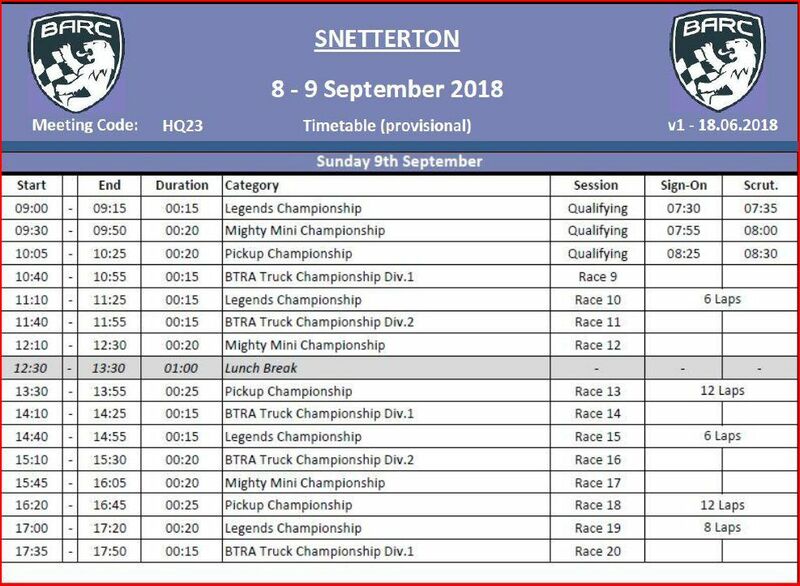 After a stunning two opening two races at Siverstone where both Scott Kendall and Jolene Polley won the two Super Mighty Minis races respectively, And Lee Poolman topping the charts for the Mighty Minis in both races, the stage is set for another great third and forth races of the 2018 season they will be supporting the Britcar event. 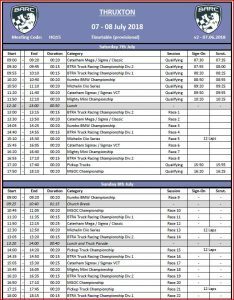 Go to www.tsl-timing.com to view the full Silverstone results and race lap times. The Castle Combe airfield opened in May 1941 on land of the Castle Combe estate, owned by the Gorst family, operating as RAF Castle Combe for seven years before being decommissioned in 1948. It was a fighter-base for Polish airmen. 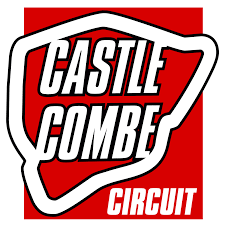 Castle Combe Circuit opened in 1950, and the first meeting was staged on 8 July by the Bristol Motorcycle & Light Car Club. Over the next few years, the circuit attracted star names such as Stirling Moss, Mike Hawthorn, Roy Salvadori and John Surtees.The circuit’s first motorcycle event was in 1952, organised by the Wessex Centre. As well as holding trackdays for both cars and motorcycles, Castle Combe Circuit holds a large number of car shows. 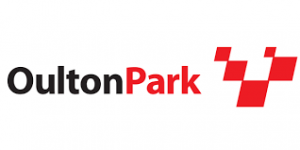 These shows follow a general motorsport theme and exhibit show stands, market stalls, stunt demonstrations, classic displays and on certain days the circuit is able to hold track sessions. 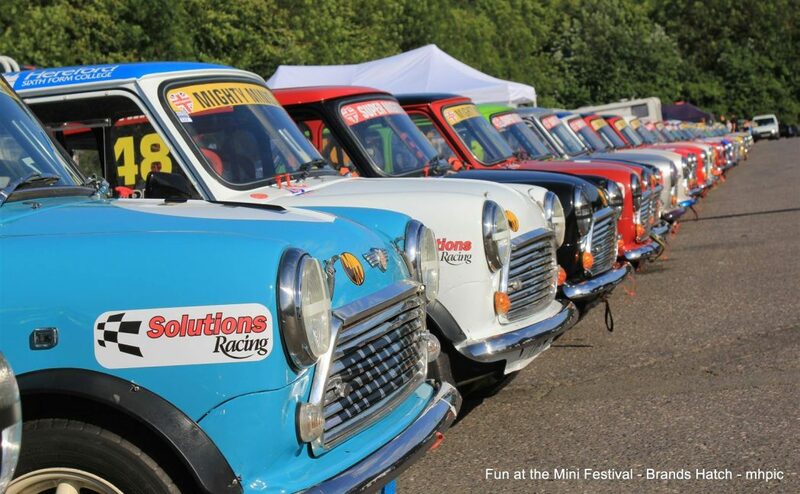 The shows have proven to be a big success, offering the motoring community a place to display their vehicles and use them on a racetrack in a safe and controlled environment, with each year building on the last and gaining larger and larger crowds. Some past in-car footage see you there. Be part of the fun. Smooth is key, It's not too late to join in the fun, give Steve Rideout a ring as he does arrive and drive deals for races and track days through his business Octane racing. Give him a ring, his mobile number is 07725918069. 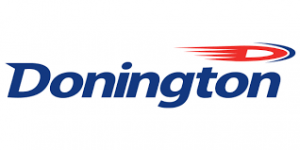 Donington Park is located near Castle Donington in Leicestershire, England. Originally part of the Donington Hall estate, it was created as a racing circuit during the period between the First and Second World Wars when the German Silver Arrows were battling for the European Championship. Used as a military vehicle storage depot during World War II, it fell into disrepair until bought by local construction entrepreneur Tom Wheatcroft. Revived under his ownership in the 1970s, it hosted a single Formula One race, but became the favoured home of the British round of theMotoGP motorcycling championship. Thruxton Motorsport Centre is near the village of Thruxton in Hampshire, which hosts motorsport events including British Touring Cars and Formula 3 racing. It is often referred to as the “Fastest Circuit in the UK” where drivers can reach speeds of over 300 kph and has earnt the reputation of being a true driver’s track. To illustrate this, Damon Hill drove his Williams Formula One car around the circuit at an average speed of 147 mph in 1993.The site was originally constructed in 1942 as RAF Thruxton, a World War II airfield which was home to both the RAF and USAAF and was used for troop-carrying aircraft and gliders, including operations during the D-Day landings. Also, the paratroopers who took part in the successful Bruneval Raid (Operation Biting), in which German radar equipment was seized on the coast of France, took off from here. 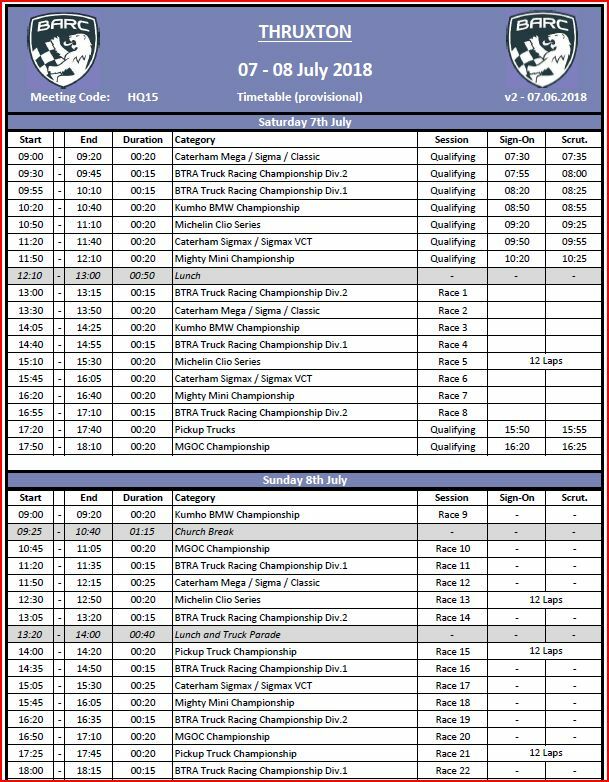 Here is the time table for races nine and ten of the 2018 championship season. Hoe we see you there. 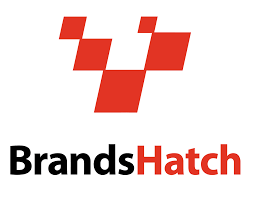 Brands Hatch offers two layout configurations: the shorter “Indy Circuit” layout (1.198 miles) is located entirely within a natural amphitheatre offering spectators views of almost all of the shorter configuration. The full Grand Prix Circuit begins on the Brabham Straight, an off-camber, slightly curved stretch, before plunging into the right-hander at Paddock Hill Bend. Despite the difficulty of the curve, due to the straight that precedes it, it is one of the track’s few overtaking spots. The next corner, Druids, is a hairpin bend, negotiated after an uphill braking zone at Hailwood Hill. The track then curves around the south bank spectator area into the downhill, off-camber Graham Hill Bend, and another, slightly bent stretch at the Cooper Straight, which runs parallel to the pit lane. After the straight, the circuit climbs uphill though the decreasing-radiusSurtees turn, before moving onto the back straight where the track’s top speeds can be reached. The most significant elevation changes on the circuit occur here at Pilgrim’s Drop and Hawthorn Hill, which leads into Hawthorn Bend. The track then loops around the woodland with a series of mid-speed corners, most notably the dip at Westfield and Dingle Dell and the blind Sheene curve. From there the track then emerges from the left hand and cambered Stirlings Bend onto the short straight to Clearways and rejoins the Indy Circuit for Clark Curve with its uphill off-camber approach to the pit straight and the start/finish line. 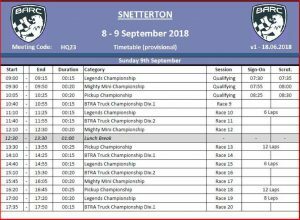 Snetterton Circuit is in Norfolk, originally opened in 1953. it is situated on the A11 road 12 miles (19 km) north-east of the town of Thetford and 19 miles (31 km) south-west of the city of Norwich. The circuit is named after the nearby village of Snetterton to the north-west of the circuit. Snetterton was originally an RAF airfield, RAF Snetterton Heath, later used by the United States Army Air Force. The airfield opened in May 1943 and closed in November 1948. The original Snetterton Circuit was laid out on the runways and taxiways of the former RAF Snetterton Heath air base, after its use as a USAF base, Snetterton was first used for motorcycle racing in 1953, organised by the Snetterton Combine, an association of clubs in Norfolk and Suffolk. The track was used by both Team Lotus (Formula One) and Norfolk Racing Co (Le Mans) to test their racing cars. In the 1960s and early 1970s the circuit was 2.7 miles in length. Sear corner was 80 m further from Riches corner and led onto the “Norwich Straight” clearly visible in satellite maps and currently used by a Sunday market. The straight ended in a hairpin bend leading to Home Straight which joined the existing track at the Esses but is now a main access road for the circuit. Russell bend was added in the 1960s and named after Jim Russell who ran a racing drivers school at the circuit. Initially added to improve safety by slowing vehicles as they approached the pits, Russell bend was the scene of many accidents and has since been altered. Oulton Park Circuit is in the village of Little Budworth, Cheshire. It is about 5 miles (8 km) from Winsford, 13 miles (21 km) fromChester city centre, 8 miles (13 km) from Northwich and 17 miles (27 km) from Warrington with a nearby rail connection along the Mid-Cheshire Line. It occupies much of the area which was previously known as the Oulton Estate. The track is set in the grounds of Oulton Hall, which were used as an army staging camp by General Patton prior to the Normandy landings.The track is characterised by rapidly changing gradients, blind crests and several tight corners. The full circuit is 2.8 mi (4.5 km). The highest part of the course is Hill Top. Paddock facilities are reasonable in size with large areas of hard-standing and some power points. The race track can be adapted for shorter courses. The “Foster’s” Circuit, which is 1.66 miles (2.7 km), comprises half of the “Cascades” corner followed by the “Hizzy’s”chicane, it then heads onto Knickerbrook and up Clay Hill to work its way round to the start/finish straight. The first meeting took place on 8 August, but the RAC would not allow the public to attend, wanting an opening meeting to be run successfully before allowing paying spectators; nonetheless some 3,000 club members and their guests attended as spectators. The main event of the day was the 33-lap 49.6-mile Formula Two race which was won by Tony Rolt driving Rob Walker’s Connaught A Type. The supporting Formula III event was divided into three 10-lap heats (won by Don Trueman, Charles Headland and Don Parker) and a 17-lap final which went to Les Leston.